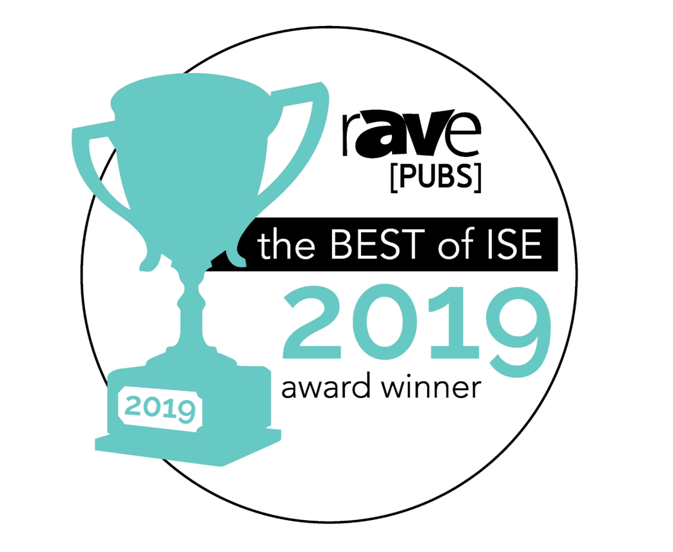 Epson Wins Six rAVe Best of ISE 2019 Awards | Industry Analysts, Inc.
LONG BEACH, Calif. – April 8, 2019 – Epson, the number-one selling projector brand worldwide1, today announced it has been awarded six rAVe Best of ISE 2019 awards. Both Epson’s laser projector solutions and its augmented reality glasses received honors in the annual awards. Epson’s laser projectors leverage 3LCD technology and a laser light source to deliver vibrant, true-to-life images. From large-scale architectural mapping and live events, to experiential signage, such as window displays or wayfinding, Epson’s laser projectors deliver solutions for various applications. For additional information about Epson’s projector solutions, visit www.epson.com/largevenue. Epson’s line of Moverio Smart Glasses are transforming activities through the use of augmented reality. The Epson Moverio BT-350 Smart Glasses are designed for multi-user applications, featuring an adjustable design made to fit a wide-range of head sizes. Ideal for indoor and outdoor use, these highly transparent glasses featuring wireless and Bluetooth® Smart (BLE) connectivity redefine augmented reality with a groundbreaking Si-OLED display, motion-tracking sensors and a high-resolution camera. For additional information about Epson’s complete line of Moverio augmented reality solutions, visit www.epson.com/moverio. 1 Epson is the #1 projector brand worldwide and in the U.S. according to most recent quarterly data from PMA, a leading high-tech market research and publishing firm specializing in the display market. EPSON, LightScene and Moverio are registered trademarks and EPSON Exceed Your Vision is a registered logomark of Seiko Epson Corporation. All other product and brand names are trademarks and/or registered trademarks of their respective companies. Epson disclaims any and all rights in these marks. Copyright 2019 Epson America, Inc. This entry was posted in Epson and tagged augmented reality, awards, Epson, ISE 2019, projectors, rAVe by IA Staff. Bookmark the permalink. Next → Next post: LD Products Launches New Cartridges For Use In Xerox VersaLink B400 & B405!